Our latest paper on the acute effects of nicotinamide mononucleotide (NMN) is out in J. Mol. Cell. Cardiol. For those without access to the journal, a pre-print of the paper was placed in BioRxiv and is still there. The paper stems from some work we started a few years ago, trying to find out if the lysine deacetylase SIRT1 can regulate intracellular pH. In a previous paper, we had shown that the SIRT1 inhibitor splitomicin can cause cytosolic alkalinization in cardiomyocytes (Figure 4 of that paper). So, the next logical step was to see if stimulating SIRT1 can do the opposite. In addition, we’d published several papers showing that SIRT1 activation is cardioprotective against ischemia-reperfusion injury, so we had a general interest in seeing if SIRT1 stimulators might be protecting the heart by altering pH. There’s a giant poo-storm in the literature about how best to stimulate SIRT1, with resveratrol being everyone’s least favorite molecule, and other alleged compounds (e.g., the Sirtris molecules) being of questionable efficacy. But, many people have been paying attention to the growing field of NAD+ supplementation. Since the sirtuin enzymes use NAD+ as a substrate, there’s a lot of interest in orally bioavailable precursors of NAD+, including nicotinamide mononucleotide (NMN) and nicotinamide riboside (NR). Naturally, with any small molecule that has potential ability to prevent or reverse diseases of aging, there are significant commercial interests at play. Namely, Elysium (Leonard Guarente and David Sinclair) is shilling NR pills under the name “Basis”, at $40 for a month’s supply. Chromadex is hawking a similar product under the name “Tru-Niagen” at $50. Other companies are selling NMN with all sorts of health claims, and if you’re cheap like me you can even buy NMN on Amazon. Naturally, the mainstream press is beginning to pay attention to all this fountain of youth chatter. So all good right? Hypothesis proven – stimulating SIRT1 makes cells acid, just as inhibiting it makes them alkaline. Not to just figure out how SIRT1 is regulating pH and we’re all set. Not so fast! It turned out that blocking SIRT1 didn’t do anything to NMN’s ability to acidify, so it must have been working via another mechanism. (If you don’t know this stuff by heart, do yourself a favor and grab a copy of the excellent “Metabolism at a Glance” by J.G. Salway. It’s a required desktop accessory in any serious metabolism/mitochondria lab). Anyway, using various methods including 13C-glucose flux tracing, we showed that NMN boosts glycolysis. We also looked at lysine acetylation, as a surrogate marker for sirtuin activity (since the SIRT enzymes are lysine deacetylases). 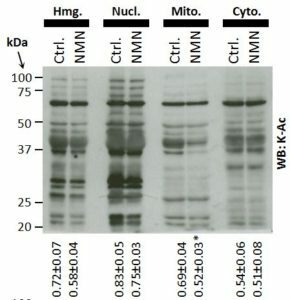 In a quite surprising result, we also found that NMN caused robust deacetylation inside mitochondria, without any impact in the cytosol. A probable explanation for this is that SIRT1 (which is mostly cytosolic in myocytes) doesn’t really get a look-in on the bolus of NAD+ made from NMN. There’s an crap-ton of GAPDH around (after all, what do we all use as a housekeeping marker protein on our western blots? ), so it just chews through all the NAD+, depriving SIRT1 of that sweet nucleotide action. We assume that in the mito’, the NAD+ pool is protected, and so deacetylation can still occur via mito’ sirtuins such as SIRT3. Some excellent recent work by Joe Baur on NAD compartmentalization and synthesis is probably relevant to this point. We also know from some work done by Jim Downey and others that acidic pH in the heart can be protective in the setting of reperfusion injury (acid pH keeps the mito’ permeability transition pore closed). So, we were able to show that delivering a burst of acidosis by giving NMN at the moment of reperfusion is also cardioprotective. 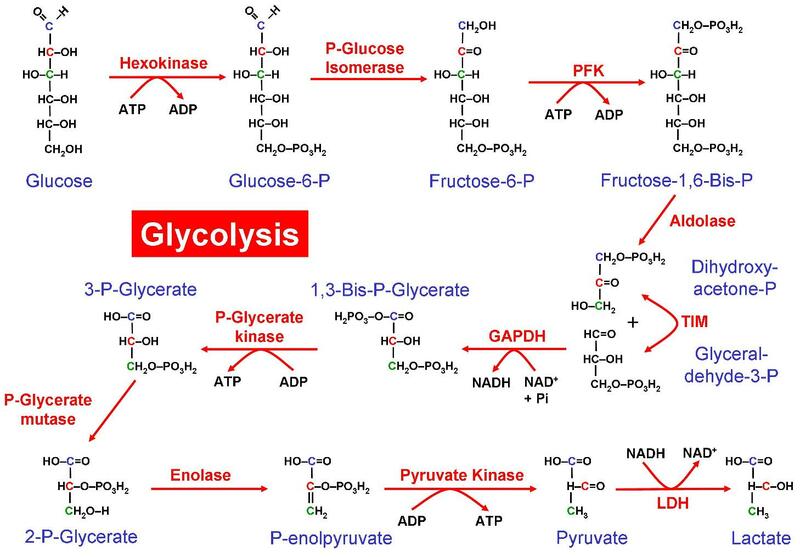 We also showed that blocking glycolysis (by removing glucose from the media or by using galactose to prevent glycolysis from making any net ATP) can block the cardioprotective effects of NMN. Overall, although it had already been shown that NMN is cardioprotective, the mechanism was thought to involve SIRT1, but our work now shows that glycolysis and acid pH can also play a role. So, what does this all mean for the burgeoning NAD+ supplementation industry? First off, I should stress that the effects of NMN we saw here were all acute, taking place within 10-30 minutes of addition. Nevertheless, I think there are some implications for the human usage of NMN or NR supplements…. (i) The Warburg effect is a key feature of cancer. 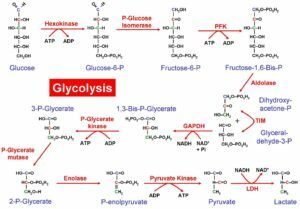 To put it in simple terms, cancer cells are addicted to glycolysis. There’s also some literature suggesting that stem cells (which share some metabolic features with cancer cells) can benefit from NAD+ supplementation. So, what do you think would happen if we acutely boosted glycolysis in cancer cells? Is it wise to boost NAD+ levels in cancer patients? (ii) Although the overall tone of this post might seem negative toward the entire field of NAD+ supplementation, it’s hard to argue with the rather impressive effects that have so far been reported in animal models and even in humans. As such, it’s worth asking whether acute, transient metabolic acidosis might actually be part of the beneficial mechanism of these molecules? On that topic, there’s another common intervention that causes acute metabolic acidosis, and is rather famous for having beneficial effects in various diseases… exercise! As suggested in the post title, it’s worth highlighting that this is now the 6th paper for which we’ve posted a pre-print on BioRxiv. A couple of years ago when we dipped a toe in the pre-print water for the first time (with this paper), it was with some trepidation! 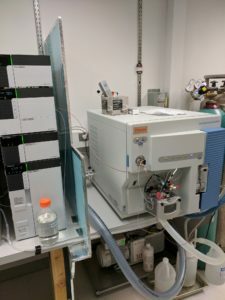 The surprise for me is how this has now become the standard publication workflow for my lab – we just post pre-prints without really thinking about it. Similarly, almost 3 years ago for the first time we published the complete raw data set for a paper on FigShare. Now it’s just something we do as part of the normal paper preparation process. Sure, it’s a lot of work to curate everything into an accessible format, but it also really makes you look at your data carefully, so is helpful in preventing mistakes. As a bonus – mentioning both of these strategies (pre-prints and open data) in the Rigor & Reproducibility section of the NIH grant proposal forms has so far worked very much in our favor! It’s a tangible way to show reviewers that you’re walking-the-walk, not just talking-the-talk. Our paper on the role of ATF5 in the mammalian mitochondrial unfolded protein response (UPRmt) is now on BioRxiv as a pre-print. It’s also been submitted to a regular journal, so hopefully will be in press some time this millenium. For the uninitiated, UPRmt is a mitochondrion specific unfolded protein response, much of which was figured out in worms (C. elegans). The key mediator is the transcription factor ATFS1, which has both mito’ and nuclear targeting domains. It is normally made and imported into mito’s and destroyed by proteases. When mito’ proteostasis is upset (e.g., a mis-match in stoichiometry between the mtDNA and nuclear DNA encoded subunits of the electron transport chain, which causes the leftover bits to mis-fold or aggregate), the import is blocked and ATFS1 goes to the nucleus. There, it upregulates a bunch of things to restore mito’ homestasis including chaperones, antioxidants, and glycolysis to take care of energy needs while the mito’s are undergoing repair. All those things (chaperones, antioxidants, glycolysis) sound like they might be useful to have around in a situation such as cardiac ischemia (i.e., what we study), so we reasoned that activating mito-UPR might be cardioprotective. To induce it in mice, we used oligomycin (yes, that ATP synthase inhibitor) or doxycycline (a tetracycline antibiotic that disrupts mito’ ribosomes – which is a good reason not to use it in experiments). Sure enough, after 6 hours (as expected for a gene program) the hearts were protected against ischemia-reperfusion injury. Within the mito’ UPR field there’s a debate about what the mammalian ortholog of the worm ATFS1 protein is. Some folks have said the mito UPR is perhaps just a branch of the integrated stress response, mediated mainly by ATF4. This has been accompanied by a general perception in the field that maybe mito UPR is just a worm thing and might not really exist in mammals at all? That changed a couple of years ago when our collaborator Cole Haynes showed that the mammalian trasncription factor ATF5 can rescue the ATFS1 knockout worm. So, we tested the UPRmt inducers for cardioprotection in an Atf5-/- mouse, and the protection was lost. To the best of our knowledge, this is the first in-vivo demonstration that ATF5 is a component of the mito’ UPR in mammals (previously it had been shown in cell culture). We also did some RNA-Seq, trying to find out the pathways induced, and while we did see the classical UPRmt target genes such as hsp60 were up by qPCR, there wasn’t really much going on in the seq’ data – certainly no gene signatures or big pathways. In some ways this is a good thing – it would be kinda boring if we just saw an ISR or Nrf2/Keap or NFKB or any of those other “classical” stress signatures. Instead, it’s likely we’ll have to drill down at the individual target level to really identify the downstream molecular mechanism by which ATF5 is inducing protection. The other interesting aside to this paper, is there’s quite a sizeable literature on the use of tetracycline antibiotics for cardioprotection, including some human clinical trials. To date, the party line has been that doxycycline confers protection by inhibiting matrix metalloproteases (they’re induced during and after heart attack). But, our data showing a requirement of ATF5 for dox-induced protection suggests an alternative mechanism. Finally, a note on the practicalities of this operation. The paper’s lead author, Yves Wang, undertook a Herculean effort just to get the study done, because the Atf5-/- mice are a total nightmare to deal with! Due to an olfactory neural defect, the homozygotes exhibit ~80% neonatal mortality – the pups can’t find the teat and so can’t get milk. As such, the vivarium bill for maintaining the Atf5-/- colony is currently running about $2500 a month, even with our exceptionally low per-diem rates. Hopefully once this is published we can down-size a bit! (1) Congratulations to Owen Smith, who successfully defended his PhD thesis in March! Owen’s final paper from his thesis work is currently in revision, but you can see the pre-print at BioRxiv here. Owen is going on to do a post-doc in the lab of Roman Eliseev in the Center for Musculoskeletal Research. (2) On April 11th we have another graduation – Jimmy Zhang is finishing up the PhD part of his MD/PhD and returning to medical school. Jimmy’s last paper on his thesis work is also in revision, but no pre-print yet as per journal policy (boo!) The short version – not everything in this paper appears to be 100% correct. (3) We have a new post-doc’ in the lab. 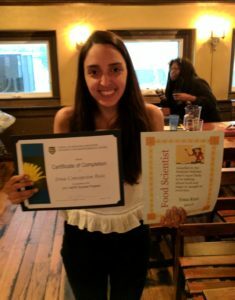 Chaitanya Kulkarni (Chaitu) came from Bob Kern‘s lab in the Medicinal Chemistry program at the University of Iowa, with a strong background in developing mito-targeted drugs. (4) Our paper on the metabolic effects of NMN is also in revision, but the BioRxiv pre-print is here. 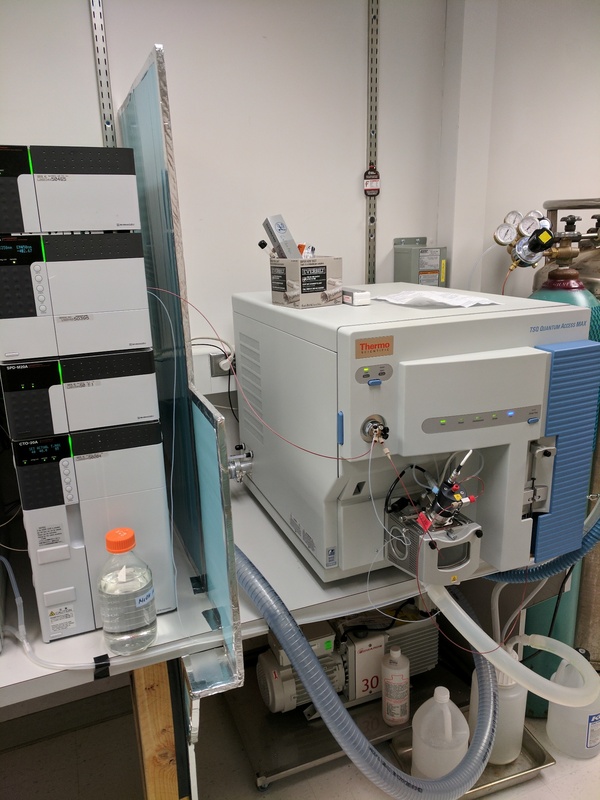 (5) Some work on metabolomics of the developing embryonic heart, performed with our collaborators Steve Ebert at UCF and George Porter here in Rochester was published in J Biol Chem. Our paper on a mitochondrial KNa1.2 channel is now out as a pre-print at BioRxiv. It describes about 4 years of work by Owen Smith, a (hopefully soon to be graduated) student in the lab. This new report builds off our paper last year showing that KNa1.2** is required for cardioprotection by volatile anesthetic preconditioning (APC). In that paper, we kind-of showed that there’s a mitochondrial KNa1.2 channel, but the gold standard is patch-clamp of isolated mito’ inner membranes (mitoplasts) and, to put it mildly, this is not a simple technique! With the help of Liz Jonas at Yale and Casey Kinally at NYU (now retired), Owen finally cracked it and we now have solid evidence the channel exists in mitochondria. The next question was “OK, if this channel exists, it didn’t evolve over millions of years waiting for volatile anesthetics to be invented in the 20th century, so what’s its endogenous physiologic role?” What we found is that the hearts of channel knockouts have a rather odd metabolic phenotype – they can’t exhibit maximal respiratory or work capacity, BUT this is only true when they’re burning fat as a fuel. They’re perfectly OK on glucose, and they’re fine at baseline, they just can’t go full-speed when burning fat. This finding has some interesting implications…. First, it implies a mechanistic link between a mitochondrial potassium channel and the regulation of cardiac metabolism. To the best of our knowledge this is the first such reported link. Second, we found that activating mito’ KNa1.2 uncouples mitochondria, and it was reported in 2014 that Niclosamide, a KNa activator, is beneficial in a high fat diet model of diabetes. Ergo, this mito’ channel could be an important (and so far overlooked) drug target for regulating metabolism, with potential importance for obesity, diabetes, metabolic syndrome etc. Anyway, while the paper is being reviewed at a “regular” journal (fingers crossed), the pre-print hopefully gets the story out there for critique by the field at large. If you have something to say – have at it in the BioRxiv comments, or Tweet/E-mail me. Our previous pre-prints have benefitted enormously from incorporation of comments on BioRxiv at the journal revision stage. **For those confused by the naming, KNa1.2 is the new name for “Slo2.1”, which is also known as “Slick”, and is encoded by the Kcnt2 gene. We used to call it by the Slo nomenclature, since Slo2.1 is part of a larger family of channels related to the Drosophila slow-poke allele, which is Slo1. Slo1 is a KCa channel, whereas Slo2.1 and its sibling Slo2.2 (aka KNa1.1, Slack) are KNa channels.